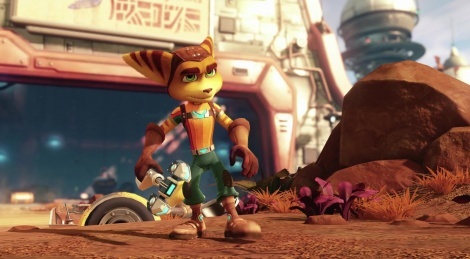 Ratchet & Clank gets a trailer which shows more of the story that is based on the film based on the game. The title will arrive on April 12th while the motion picture from Gramercy Films will hit theaters on April 29th in the US. This looks so nice! and it's cheap. Might have to buy this one day 1. 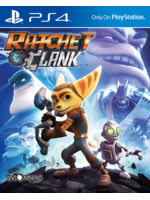 I get the feeling of this being the one last tangible push for the Franchise I just hope that everything has gone into this game and whilst it looks like this may be the case the price tag leaves me suspect. Its the game based on the movie, based on the game! So its definately the last push for the franchise, but is also a reboot of sorts too. Shut up Insomniac! Shut and up and just take my money! Just take it dammit! Wow, that's one really aggressive "shut up and take my money" comment. Lol. Yeah the price tag is suspect. I hope it's good and not short. I will plop down the money instantly if it is good! Got this one preordered. It looks like you're playing a Pixar film. I can't wait!